Millingford manufacture a full range of valve cages, balls, seats and fittings. Our Valve Cages, Balls & Fittings are available in various styles, sizes and materials are manufactured to API specifications. 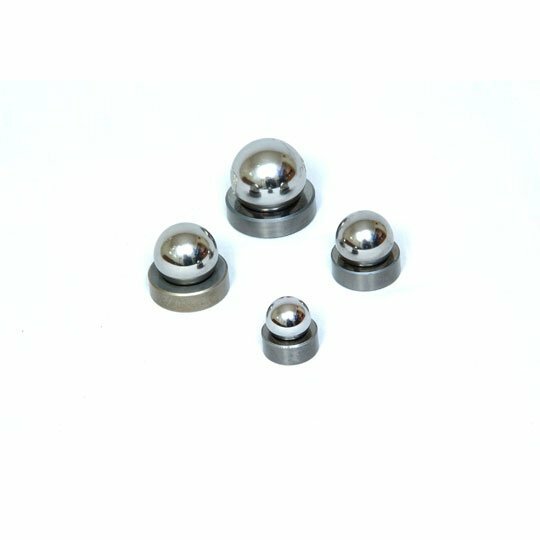 Valve balls and seats: Due to different well conditions valve balls and seats are available in a wide range of materials such as 440C stainless steel, a range of high grade stainless steel, tungsten carbide and ceramic. Special mechanisms are used to lap each seat to a precise size and fit with a precision finished ball, and each combination is vacuum tested and individually packed to assure a matched assembly. Our Valve Cages are manufactured in a full range of styles and sizes. They are available in a wide range of materials such as carbon steel, alloy steel, stainless steel, 440C stainless steel, brass, monel and aluminium bronze. Where appropriate all hold downs and fittings are strictly manufactured to API specifications.